Italian shipping is going on aiming for Libya, although political context uncertainty and frequent strikes. 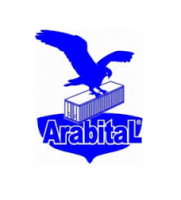 Arabital, a shipping agency, decided to triple its presence in the country thanks to the opening of two new offices, in Bengasi and Misurata, which will place side by side the already existing one, recently reinforced, in Tripoli. “Yes, we do develop our business – says the company’s president, Emidio Cambiati – in Tripoli we already have a branch: now we have upgraded it adding an Italian responsible for Libyan personnel. Soon we’ll have offices also in Bengasi and Misurata, with Libyan personnel, which will give us the possibility to do a door delivery. We’ll be able to do custom routine and shipment service in a very short time thanks to the cooperation with a big local operator which will supply logistic facilities and vehicles”. It is a way to develop the activity, but also to approach the country divisions. This could be even a move which reveals in advance a divided country scenario that so far could seem political fiction but that in the last days has been recalled even by New York Times. According to the American newspaper specialist, Libya could soon be divided into four parts (Tripolitania with Tripoli as capital city, Cirenaica with capital city Bengasi, Fezzan with capital city Sabha and the city-state of Misurata). But also without reaching these extremities, having three seats could be strategic. “In Libya – explains Cambiati – it is necessary to respect the three different realities, which we can call tribes, factions or power centers“. Even the present Prime Minister has difficulties in programming a visit in Bengasi. Nevertheless life is going and it is possible to develop an entrepreneurial activity in the logistic sector. “Tripoli is a city looking for normality. Commercial activities as restaurants, hotels and shops are opening, also if during the evening it is still better not going out and every family has three or four weapons at home, Beretta or Kalashnikov. Anyway during the daytime there are no tensions“. Cambiati foresees political instability and possible government changes, but he excludes religious fundamentalism can prevail, as happened in Egypt. In the meantime there are projects in progress first of all in the construction field, with the presence of Italian big groups as Salini Impregilo, which less than a month ago gained a one billion euro contract for the building of the coast motorway first lot, and Piacentini. Presently Arabital manages every year the shipping of three thousands containers between Italy and Libya. If Libya is at the moment the most interesting area, the company is present in all the Middle East region, from Maghreb to Iran. Logistic activity feels the effect of the tensions in some areas, but Cambiati counts on the occasion offered by the world football cup which will be played in Qatar: “There are eleven stadiums to build, all provided with air conditioning, the airport and a new port to receive containers, because the present one is not appropriate and it would be necessary passing through Jebel Alì. But the big boom is not yet ready. We are waiting for the big jump, the business potentiality is huge”. In Qatar the company is present with 15 people. Another important presence – 14 employees – is registered in Morocco. “In Casablanca we reinforced in the last two years and the seat is by now self-sufficient, also with traffics from foreign-to-foreign”.